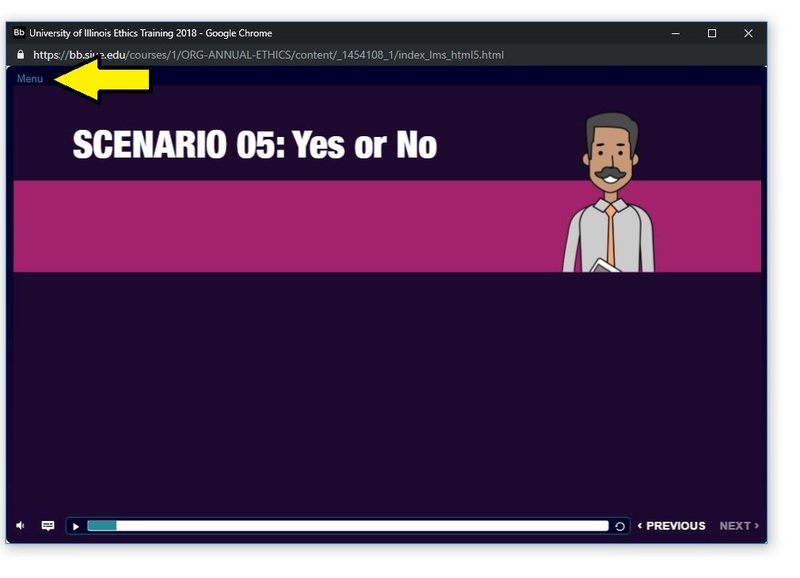 The following article provides an overview of various steps within the training. 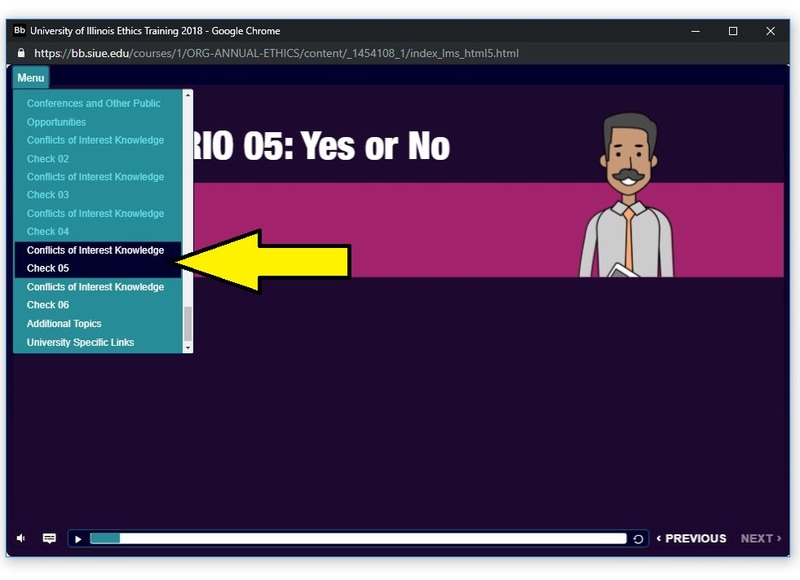 When the menu appears, completed sections will be shown in blue. Uncompleted sections will be in white. 4.) Once completed with each section of the training, the last section is Statement of Completion. 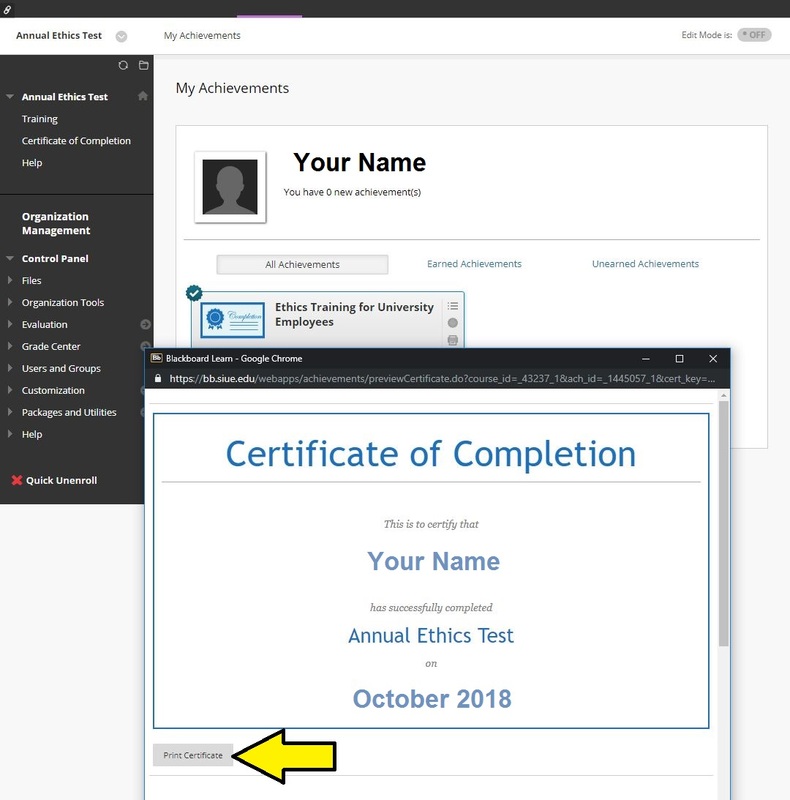 After clicking on I Certify, the training window will close and return you to the Annual Ethics Test page in Blackboard. 5.) 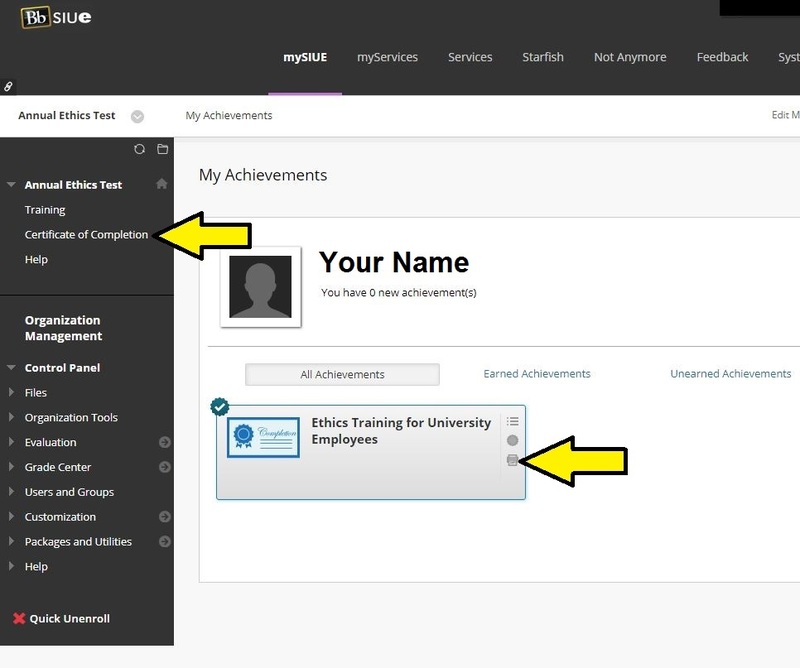 After exiting the training, if you choose to print a certificate of completion, click on Certificate of Completion. 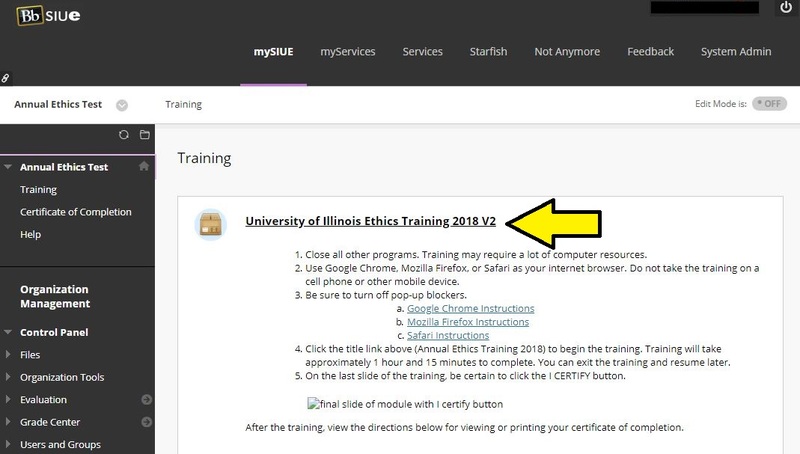 Under My Achievements, click on the small printer icon in the Ethics Training for University Employees box. 6.) 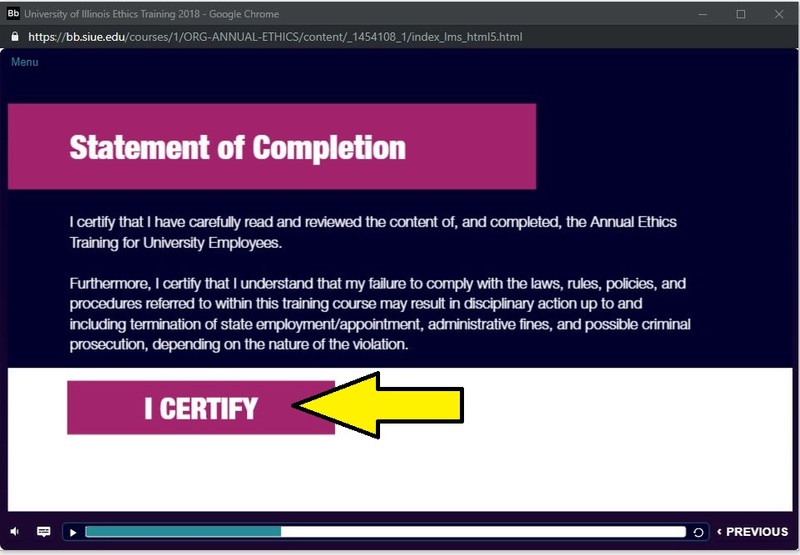 A Certificate of Completion window will open. 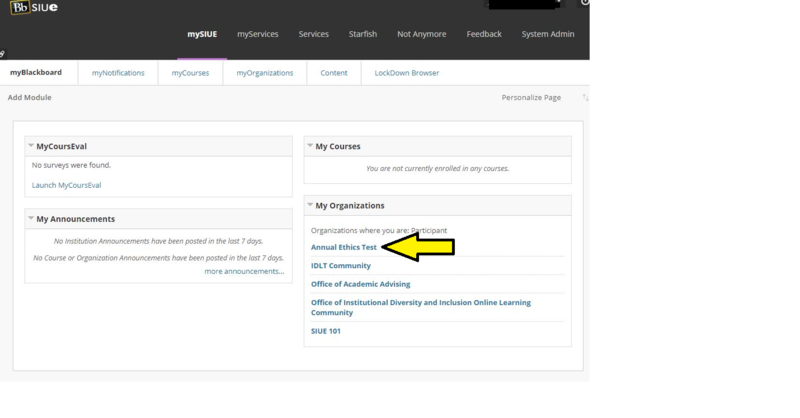 Click on Print Certificate.